✔️7 POWERFUL, PROVEN INGREDIENTS FOR EYES & VISION. 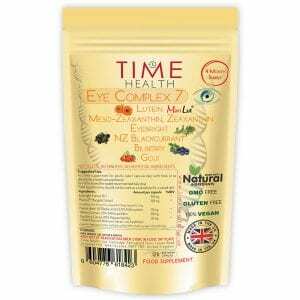 Time Health Eye Complex 7 combines 7 of the most proven eye health nutrients and herbs in one daily capsule. ✔️OPTIMAL DOSE OF LUTEIN, ZEAXANTHIN & MESO-ZEAXANTHIN PER CAPSULE. Premium brand MariLut 10mg Lutein, 10mg Meso-zeaxanthin and 2mg zeaxanthin. Recent studies at Waterford Institute of Technology, Ireland, have shown that the optimal response to these nutrients can be achieved when consumed at these levels. These macular carotenoids are essential nutrients which have been shown to support healthy eyes and improve symptoms of age-related eye conditions. ✔️ALSO CONTAINS EYEBRIGHT, BILBERRY, GOJI & BLACKCURRANT. Additionally our complex contains antioxidants, flavonoids, anthocyanosides and polysaccharides from Eyebright, Bilberry, Goji and New Zealand Blackcurrants which have also been shown to support eye health including relieving sore eyes and reducing eye fatigue. Part of the retina called the macula is protected by a kind of natural sunscreen to prevent the vision cells from being damaged by from blue or UV light. This natural sunscreen is made up of a yellowish macular pigment, this is a mixture of three light-absorbing compounds; lutein, zeaxanthin and meso-zeaxanthin. Our bodies cannot make these three compounds so we have to get them from our diet or from supplements. Eyebright herb has been used for eye health since the 11th century boasting great overall eye health especially its anti-inflammatory properties that help to relieve sore eyes and eye fatigue. As a diet supplement for adults, take 1 capsule daily with food, or as directed by a healthcare practitioner. The delivery was fast and I have saved money buying from time health. I feel they are helping. I bought these as Im 65 and felt that my eyesight and eye health were deteriorating somewhat. 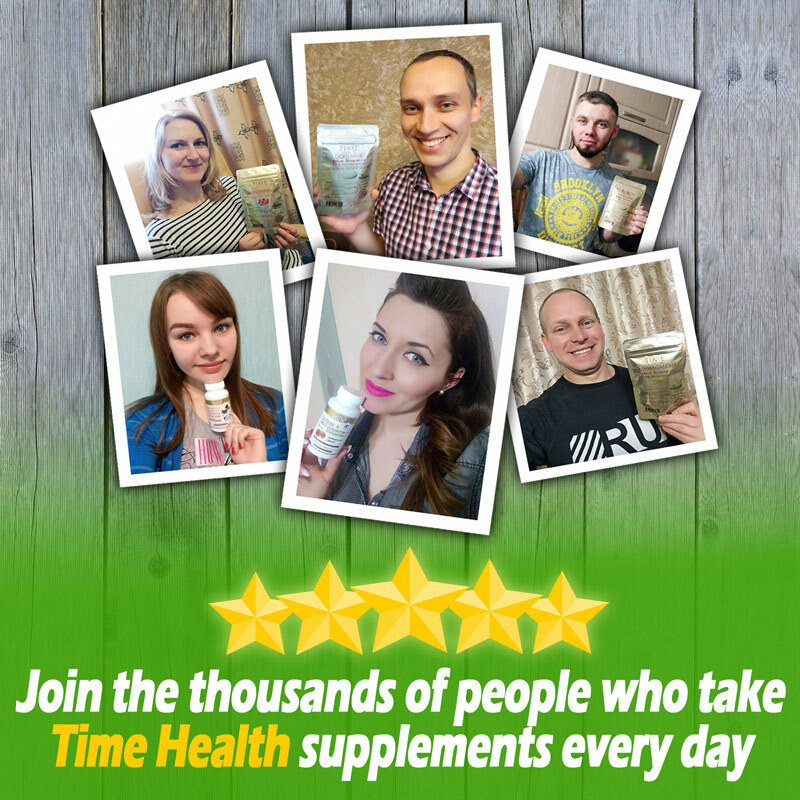 At first I was sceptical that a pill could help but after 4 weeks or so of taking them I can honestly say that my sight is stronger and my eyes no longer feel tired all the time. I have since read that Dr Michael Mosley takes a similar product and has recommended trying it. I will certainly use your product from now on and actually wouldn't want to be without it! I think we are 5 days into taking them so a little to early to see any improvement, i will keep you updated. Great company to work with. 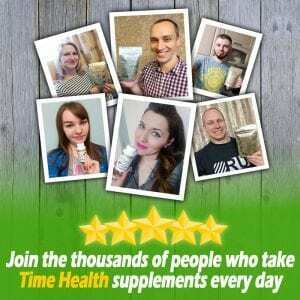 Much cheaper version of this supplement than others and all natural ingredients. Good service.